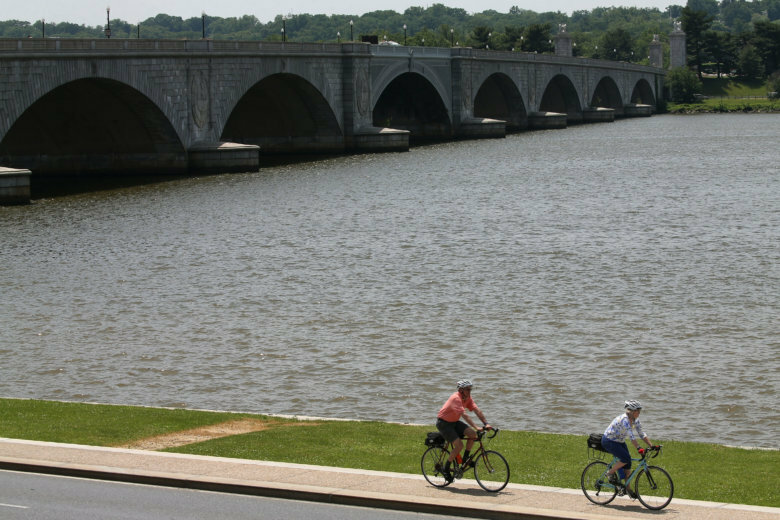 Bicyclists in the D.C. area can face a lot of dangers and hassles, but a new web service aims to show riders how to get around more safely and easily by plotting their trip on a map that shows bike paths and lanes. WASHINGTON — Bicyclists in the D.C. area can face a lot of dangers and hassles, but a new web service aims to show riders how to get around more safely and easily. Commuter Connections announced on Friday that they’ve launched a Bicycle Route Finder that lets members plan their routes on an interactive map of bike trails, paths and on-street lanes, as well as checking availability of Capital Bikeshare bikes. Members can click on the starting point and destination anywhere from Frederick County, Maryland, to Prince William County, Virginia, and from Loudoun County, Virginia, to Prince George’s County, Maryland, and get turn-by-turn directions with routes on 2,150 miles of trails, paths and lanes, with more than 30,000 segments and junctions. Membership in Commuter Connections is free. You can sign up on their website.